Alabama 3, The Troggs, The Complete Stone Roses and Mànran are among the internationally-renowned acts that have been added to the line-up for the Big Burns Supper 2019 festival in Dumfries. The biggest contemporary celebration of Scotland’s national poet has announced its second wave of artists, making up the bill for the Sunday Session festival finalé. Big Burns Festival 2019 runs from 24th January – 3rd February with more than 111 events set to entertain thousands of visitors to the historic town. Now in its eighth year, the Sunday Session is one of the most popular events at Big Burns Supper, and is a unique festival within a festival event that runs all day and night, taking place in the famous Spiegeltent. 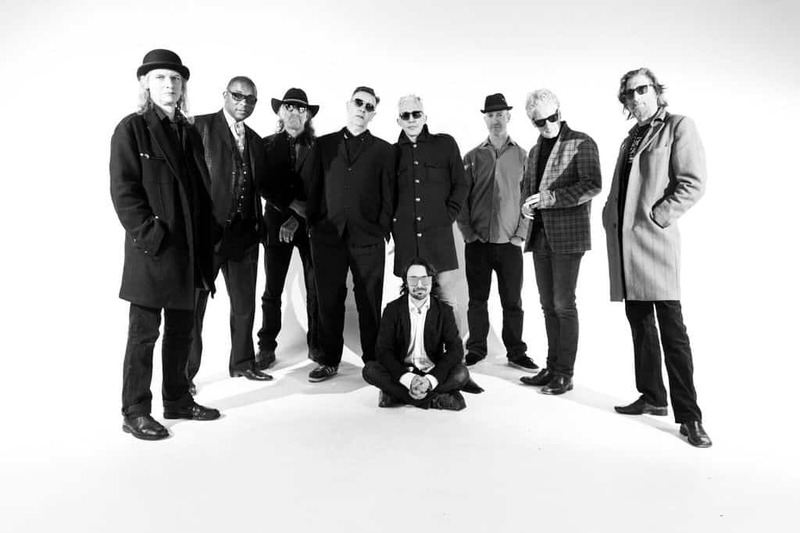 Genre-hopping London rock band Alabama 3 are set to headline the event, and their heady mix of bittersweet laments, whisky-drenched rhythms and Delta slide guitar will be the perfect way to round out 11 days of festivities. The touring collective, who have a live line-up that can reach 10 or more members, have been melding punk, rock, blues, country and electro pop since the mid-90s, and have become known for their larger than life on-stage personas. The Troggs celebrate more than 50 years of British rock history with their performance. They’ll be running through their chart-topping hits and memorable anthems, such as Wild Thing and Love Is All Around. One of the UK’s best-known tribute acts, The Complete Stone Roses, recall the ‘Madchester’ icons at their explosive best – they have even been joined on stage by the original band’s bassist, Mani, and performed alongside New Order’s Peter Hook, Bez from the Happy Mondays and Tom Hingley from Inspiral Carpets. Celtic rock superstars Mànran wrap up their Scottish winter tour with their appearance at Big Burns Supper, and there are also appearances by hometown six-piece metal favourites Turbyne, Canadian band Vishtèn with a fiery blend of traditional French songs and original instrumentals, and promising Welsh folk revivalists Calan, who complete the line-up. Elsewhere in the impressive Big Burns Supper 2019 programme, award-winning singer-songwriter Hazel O’Connor also pays a visit. Her appearance on the first Sunday of the festival, January 27th, sees her joined by Clare Hirst (Bellestars, Communards, David Bowie) on sax and Sarah Fisher (Eurythmics) on keyboards to perform unforgettable songs from the iconic film Breaking Glass, which recently celebrated its 35th anniversary. These acts join a whole host of renowned musical performers, such as Scottish star KT Tunstall, indie rock icon Frank Turner, contemporary folk outfit The Peatbog Faeries, funk and soul DJ legend Craig Charles, who have already been announced to appear. The wide-ranging programme also includes comedians, including familiar TV faces Ed Byrne and Hardeep Singh Kohli, as well as celebrity hosts, cabaret performances, family shows, an interactive arcade game, and a packed Fringe theatre programme every Friday and Saturday of the festival. Executive Producer, Graham Main said: “Our Sunday Session line up will help ensure that the 2019 festival ends on a high with some incredible bands set to ensure we have an unforgettable night in the Spiegeltent to close the Big Burns Supper. “As well as all the music and comedy stars heading to Dumfries we’ve got lots more great surprises for everyone to enjoy including performances by community projects and local bands. It will be a winter festival and Burns Supper like no other,” he added. Big Burns Festival 2019 is the eighth edition of the event, created in 2012 as a coming together of people and culture and, of course, celebrating the life and poetry of the bard Robert Burns. The Festival runs from 24th January – 3rd February. Tickets are available to book via www.bigburnssupper.com or by calling 01381 271 820. Big Burns Supper Festival is a non-profit event, produced by local charity Elektronika and has received support through Scotland’s Winter Festivals.